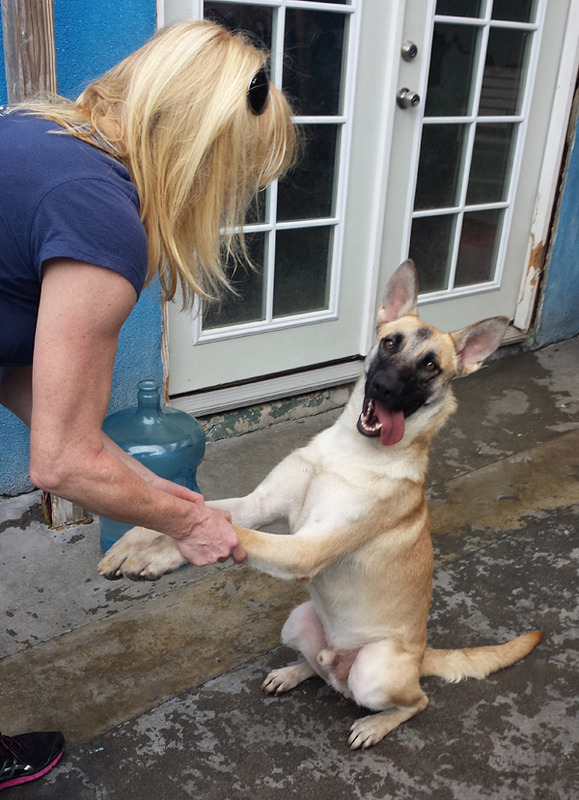 Wendel von Weimar is a gorgeous 10 month old golden German Shepherd. Introducing WGSR's "Most Likely to Succeed". This tremendously sweet, very, very handsome guy has a stiff, short coat and is about 22 inches from shoulder to paw. Wendel still has puppy enthusiasm but wants to please so badly. Because he still has some of the puppy traits, he tends to be a bit mouthy so small kids are probably not ideal. He does well in the play group with other dogs. He is totally people friendly and seems to love everyone on two legs. He gets so excited to be walked that he forgets he's almost a full grown dog. Once outside, he settles down quickly and becomes a pleasure on the leash. A free introductory class with Trainer Tim will put him on course to go from "Most Likely to Succeed" to "MVP".